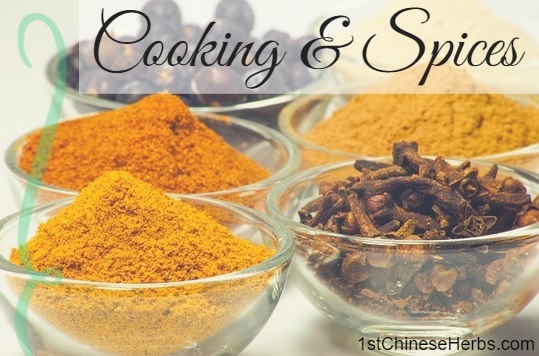 Many medicinal herbs and spices can be used in cooking. Some of the more commonly used herbs include cilantro, parsley, cilantro, rosemary, oregano, sage, coriander, mint, thyme, chives, dill, and basil. You don't need to use as much fresh herbs as you do dried herbs. If you are using dried herbs, we recommend that you grind them up a bit (either with your hand or with a mortar and pestle) in order to enhance their flavor. Herbs used in cooking are primarily there for flavor enhancement, unlike herbs taken in capsule or tablet form. Although the natural herbs still might provide some medicinal benefits if included in cooked dishes, many herbs are simply used for flavor and aroma in cooking. If you have a chef in the family, culinary herbs make a great gift! Different natural herbs go well with different types of foods. Below are some of the common herbs used to enhance certain foods. Play around with different herbs and see which flavors and combinations you like best! Beans - Basil, cilantro, dill, oregano, tarragon, thyme. Beef - Basil, bay leaves, chives, oregano, parsley, sage, sorrel, tarragon, thyme. Breads - Dill, fennel, oregano, parsley, rosemary. Casseroles - Bay leaves, oregano, sage. Cheese - Chervil, chives, dill, mint, sorrel, sweet marjoram, tarragon, thyme. Chicken/Poultry - Basil, chervil, chives, lemon grass, rosemary, sage, tarragon, thyme. Dressings - Basil, fennel, parsley, rosemary, sage, savory, sweet marjoram, tarragon. Eggs - Basil, chervil, chives, dill, mint, oregano, paprika, parsley, savory, sorrel, sweet marjoram, tarragon, thyme. Fish/Seafood - Bay leaves, chervil, coriander, fennel, lemon grass, paprika, parsley, sage, sorrel, tarragon, thyme. Peas - Mint, oregano, sweet marjoram. Pork - Fennel, sage, paprika. Salads - Basil, chervil, chives, cilantro, dill, fennel, oregano, parsley, sage, sorrel, sweet marjoram, tarragon, thyme. Sauces - Bay leaves, chives, dill, fennel, lemon grass, mint, oregano, parsley, rosemary, sage, sorrel, sweet marjoram, tarragon. Soups - Basil, bay leaves, chervil, chives, cilantro, dill, lemon grass, oregano, parsley, sage, savory, sorrel, sweet marjoram, tarragon, thyme. Stuffings - Fennel, parsley, sage, savory, sweet marjoram, thyme. Tomatoes - Basil, lemon grass, thyme. Vegetables (assorted) - Chervil, dill, mint, oregano, parsley, rosemary, savory, sorrel, tarragon, thyme.